When pursuing a merger or acquisition, companies often possess a clear understanding of their big picture objectives, but they must also account for the complex details that can impact the success or failure of the integration. If organizations do not have an adequate plan to incorporate the acquired business into the parent company’s business, they often struggle with the transition. Most companies do their homework when reviewing an acquisition’s financial performance and the compatibility of both organizations’ respective business strategies. 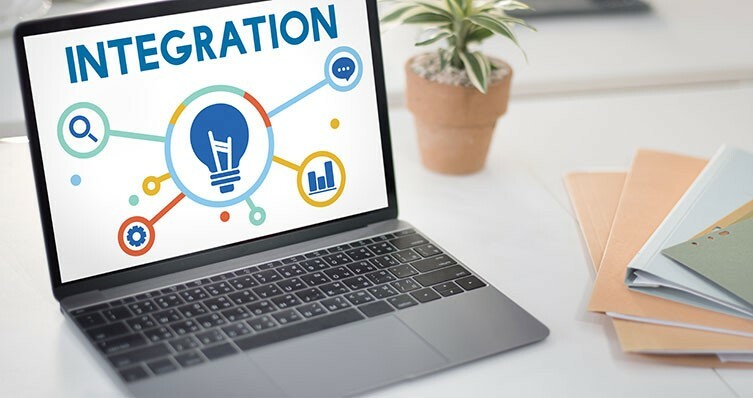 They also typically consider company culture, customer base and operations; but often, acquiring organizations overlook the importance of technology integration. Here are several crucial issues to consider about technology integration when undertaking an acquisition. From a technological standpoint, business IT infrastructure can consist of a complicated network of different applications, software systems and servers that enable business processes. An acquiring organization needs to have a standard integration plan that’s adaptable for each acquisition. Part of that integration plan should include a platform for integrating different technologies and processes into something that can be the standard for the entire company. So if acquisitions are part of your company’s growth plan, it would be wise to invest in an ERP (enterprise resource planning) system that is robust enough and flexible enough to handle and integrate various business models and geographic locations. With the integration of a new acquisition, a company’s ERP system plays a crucial role. The ERP system usually manages receivables, payables and financials, but it can also incorporate other processes like inventory, manufacturing and procurement. Flexible ERP architecture can make it much easier for organizations to quickly integrate acquired companies. When a company integrates business processes, which are built into an ERP system, change management is a critical element in the process. However, a flexible software application that can adapt to diverse business processes will help facilitate a successful integration. While any company with a growth-through-acquisition strategy needs to pay attention to the compatibility of technology resources, private equity firms (which are in the buy-and-build business) would be particularly well-served by investing in a flexible, scalable ERP system. The internal technology of an acquisition target is generally a low priority for most acquirers, but issues with the system integration can be detrimental to the overall organization. If orders do not ship or projects are consistently delayed, cost overruns may result. With any acquisition, there is risk that customer service could decrease and customers could be lost as a result. A standardized and robust technology platform can make it easier for the acquiring company to assimilate new customers, products, geographic markets, etc. As a result, the acquiring entity can realize a return on investment more quickly than if they are spending time and money dealing with technology incompatibility. At Kraft, our team of experts assists companies in deploying a scalable, adaptable solution that can meet the current needs of the business while supporting future acquisitions. Kraft Enterprise Systems, LLC, an affiliate of KraftCPAs PLLC, specializes in helping mid-sized companies grow and increase efficiencies through technology assessment, implementation and customization. Experts in the ERP implementation process, KES has a dedicated team of professionals with more than 200 years of combined experience.